Growing up we had this vine in the backyard and it grows like a crazy giving us loads of anapakaya...even after mom shared them with family and neighbours ,we would be left with so many of them and yet i loved this vegetable.Mom made many varieties with them and anapakaya dal is one of them. 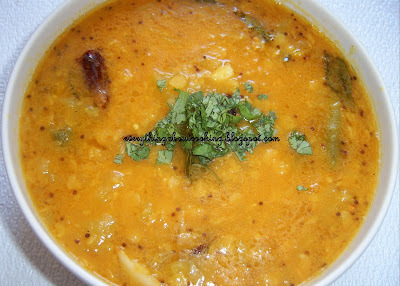 Anapakaya pappu is bottlegourd cooked in toor dal along with tangy tamarind,hot green chillies, tumeric and onions.And finally add the talimpu.....and the result...yummmmmm!! 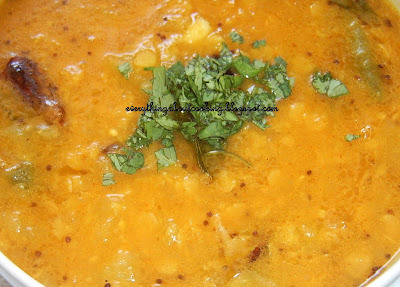 Wash the dal and put it in a pressure cooker.Add the bottle gourd, tamarind, green chillies, onion, turmeric and add enough water (I used 2 and 1/2 cups water) close the lid and pressure cook for about 3-4 whistles. Let it cool and then open the lid,add the salt to taste and mix well.Donot mash the bottlegourd. and garlic or hing. 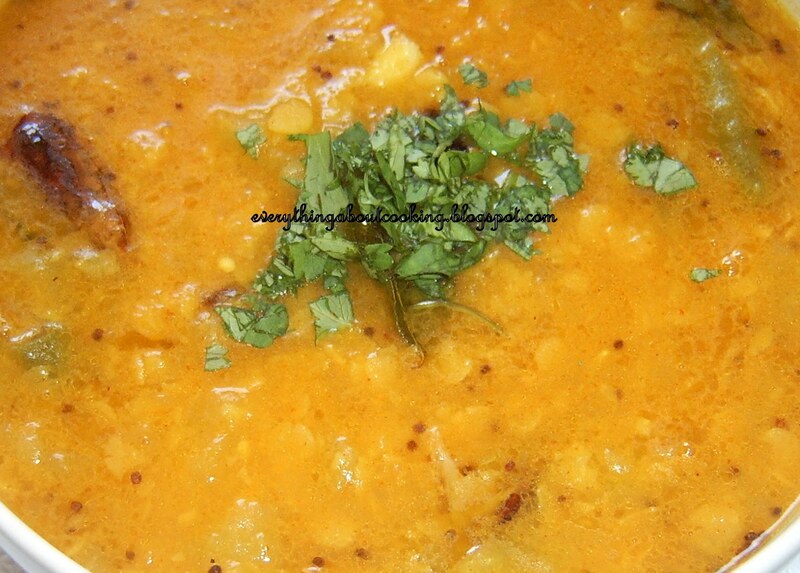 Saute for a min and add the curry leaves and switch off the stove.Carefully add this to the cooked dal and mix gently.Serve with rice and papad or phulkas.Enjoy!!!! thanks raa.seeing ur aanapakaya pappu,i remembered many dishes which i almost forgot.